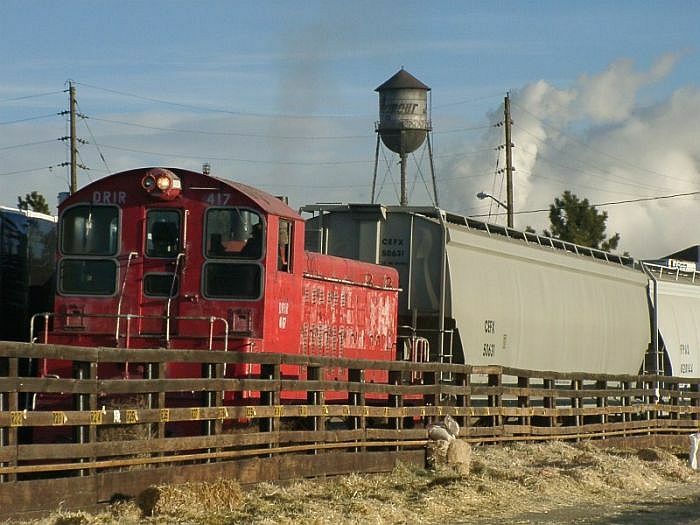 The Denver Rock Island Railroad is a shortline operator that serves various industries over former Rock Island interchange trackage. It interchanges with the BNSF and the UP in Denver. 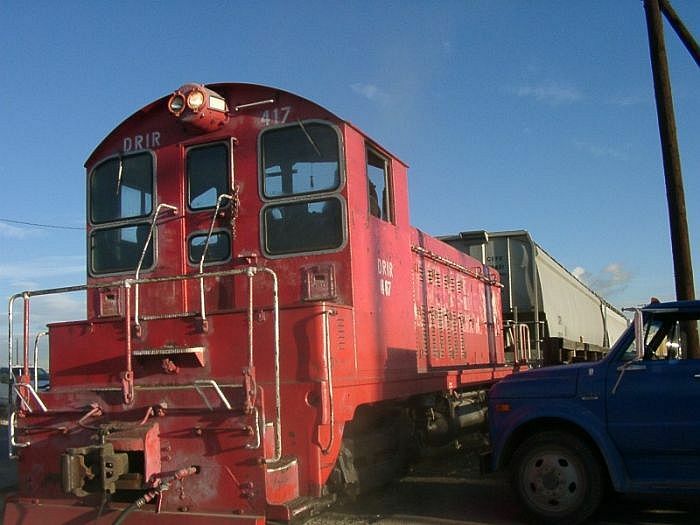 DRIR little red switcher that can. Shuffling cars near the National Western Complex in Denver. 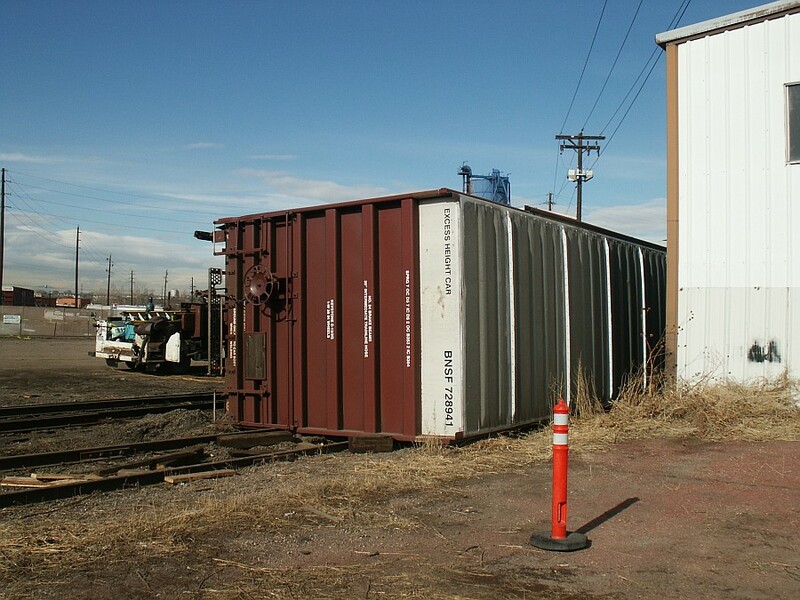 Shuffling cars from several food preparation companies in denver near the former stockyards. Like waves on the sea, the rails of the DRIR are quite a site. 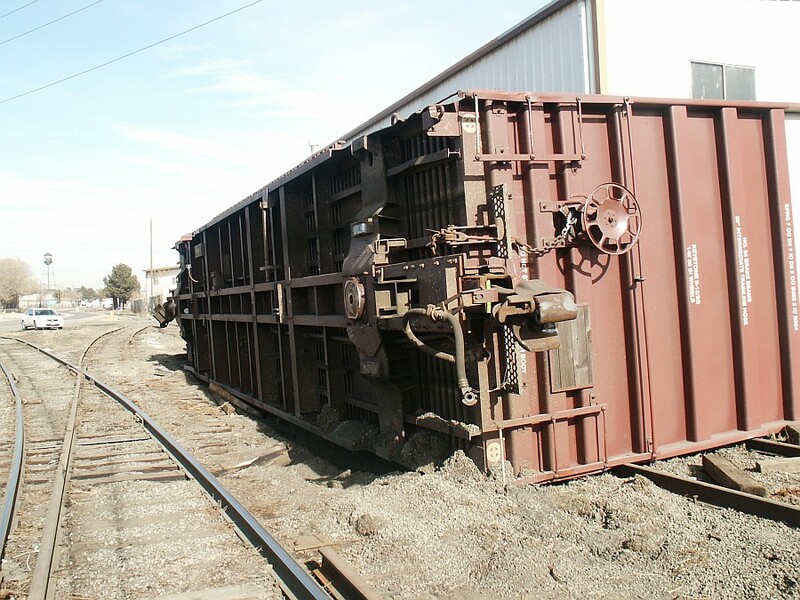 During stock show season in 2010 a BNSF remotely operated locomotive derailed 3 cars and tipped this one. 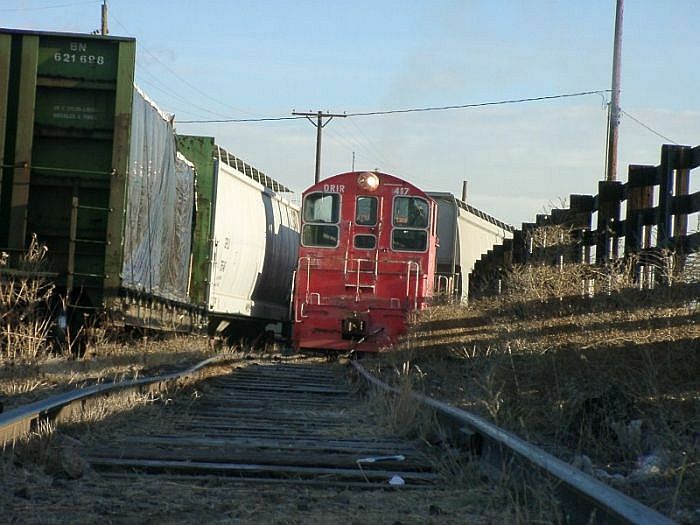 The story I got was that the locomotive was accelerated and snapped its train too hard causing this scene. Denver Rock Island crews are busy repairing track and preparing to right the car.